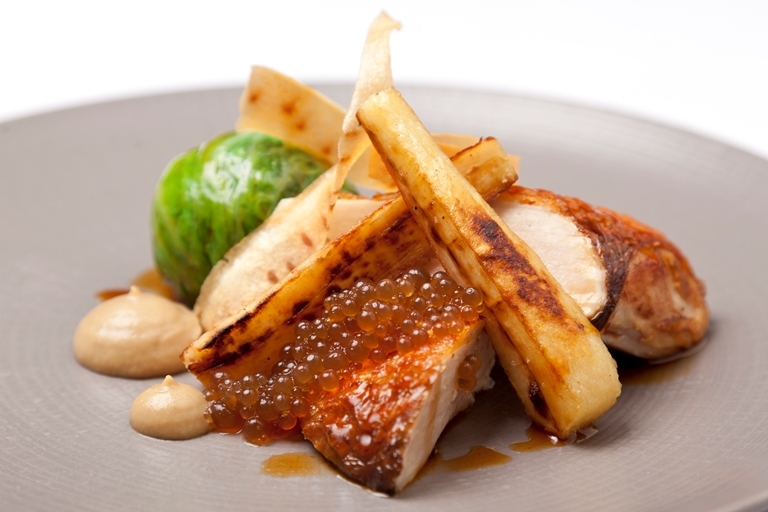 The inventive sherry vinegar pearls add an impressive touch to this classical pheasant dish from Andy McLeish. This poached and roasted pheasant recipe is a great option for autumn and winter, when pheasant is widely available and parsnips are at their best. Andy McLeish takes the field to fork ethos seriously, hunting and butchering his own game to ensure his menus at Chapter One offer the finest of local ingredients treated with respect.